Do you own or operate a business in Hawkes Bay? According to government legislation, you are legally obligated to provide and maintain fire protection equipment in your business. Contact us today and ask our fire protection services Hawkes Bay team to visit your property. We have a range of specialised services available to businesses throughout the area. Take a look through our website now and get in touch if you have any questions. 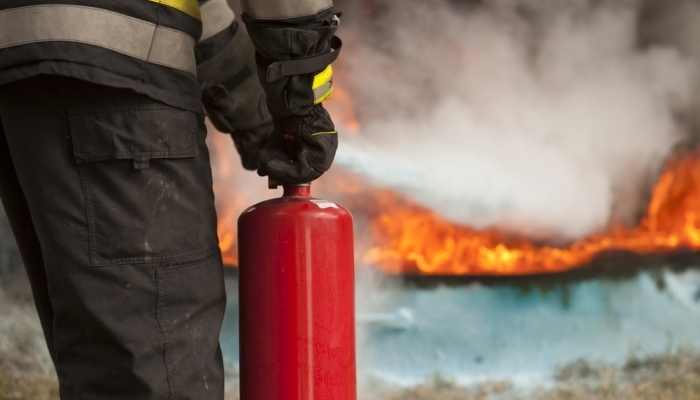 In order to give businesses the most professional fire safety services Hawkes Bay has to offer, we have created a suite of inspection services that will cover the needs of most organisations. You can have your fire equipment inspected at the same time as having your electrical appliances maintained. This comprehensive approach to safety means your business is safer. It also means that you save money and time working with a number of inspection companies to secure your workplace. Get it all done in one easy appointment with our professional team. Simply call us now and ask to be connected to our fire protection services Hawkes Bay team. We will put you in touch with your local testing team and arrange an inspection time that suits you best. We can also provide an obligation free quote for any interested businesses. At Jim’s Fire Safety, we conduct all of our inspection and testing services according to the current New Zealand safety standards. We inspect fire extinguishers in accordance with the NZS 4503:2005 standard for Hand Operated Fire-Fighting Equipment. In order to comply with this standard, you need to make sure your extinguishers are tested at least once every 12 months (although we recommend 6 monthly intervals). Please note that the required frequencies vary from business to business, so you will need an expert consultation to determine your specific testing requirements. After testing, our fire protection services Hawkes Bay technicians will either update the exisiting tag on your device or attach a new tag. You will receive a copy of the test results and a time frame for your next appointment. To make sure you never miss a compliance appointment, one of our technicians will notify your business when your next test is due. Contact our fire protection services Hawkes Bay team and get a free quote now. At Jim’s Fire Safety, we are passionate about providing local businesses with the best statutory testing services in the industry. Your safety is our business. If you’d like any more information about the work we do in Hawkes Bay, get in touch with us today. We’d love to have a chat about your unique business requirements. Call now on 0800 454 654 or fill in the online form.